Can you believe there are only three days until Thanksgiving?! 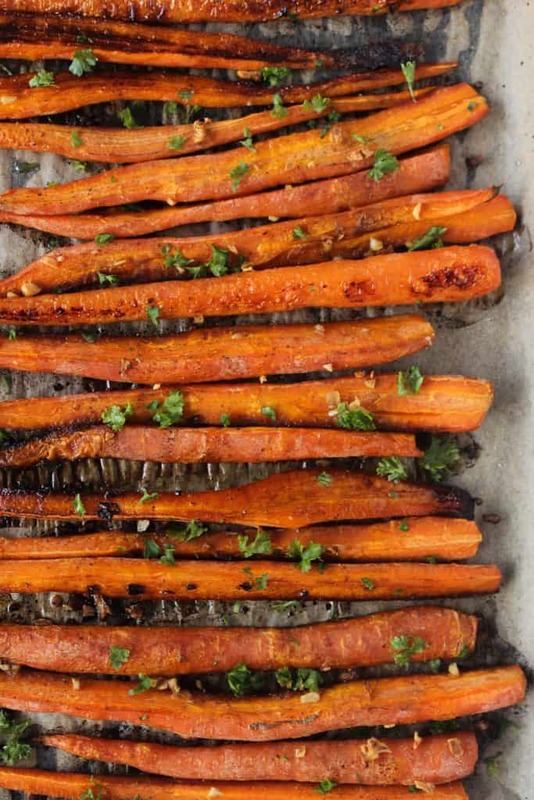 Hopefully it’s not too late to add these balsamic roasted carrots to your menu. They’re crispy and garlicky with just a hint of balsamic flavor and they’re so simple to make. The prep work only takes about 10 minutes, which means they’re a quick side for Thanksgiving. Not that these are limited to Thanksgiving– they’re a delicious side dish any day. And I think the whole carrots make a really pretty presentation. I’m excited to eat a little bit of everything! And I’m even more excited to see all of our family members who are coming in town on Tuesday afternoon. My aunt, uncle, & cousins are driving here from Georgia and my grandparents are flying here from Arkansas. 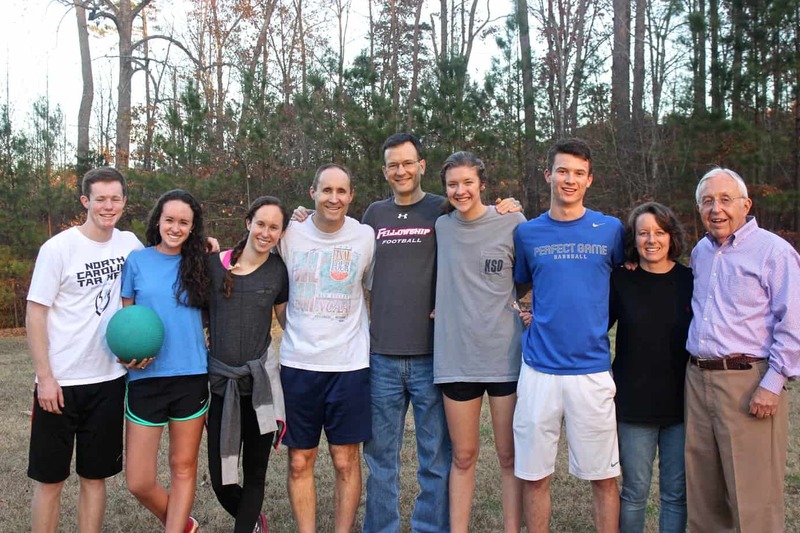 I love when our whole family’s together since it happens just once or twice a year. Oh! And Gilmore Girls is coming back on Friday. So many things to look forward to. I have two more days of classes, but I’m counting down the hours until I drive home Tuesday afternoon…and sleep in my own bed..and snuggle with my dog…and see all of my family…and eat all of the delicious food. Ahhhh, I can’t wait! 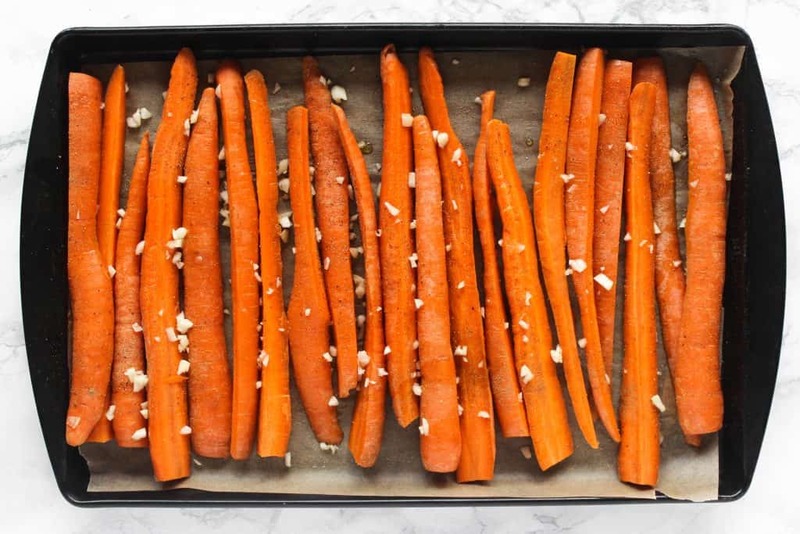 If you try out these balsamic roasted carrots, feel free to let me know in a comment or take a picture and tag me @livbane on Instagram. Hope you enjoy! Wash carrots thoroughly and cut off tops– no need to peel them. Dry with a paper towel or clean dish towel. For even cooking, halve or even quarter the thicker carrots so each carrot is roughly the same thickness. Place in single layer on parchment-lined baking sheet and drizzle with olive oil and balsamic vinegar. Sprinkle on garlic, thyme, salt, and pepper. Bake at 375 degrees for 40-50 minutes, depending on thickness, until tender and starting to slightly crisp. Sprinkle with fresh parsley, if using, and serve immediately. Will you be watching Gilmore Girls?! We always make mac and cheese, which is one of my favorite all-time foods, plus I love any kind of roasted veggies. 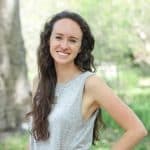 I feel like I’ve been waiting for Thanksgiving break to get here for weeks, too. So excited! GIRL you and I are one in the same. I can’t stand traditional Turkey Day food. I eat a tad bit of turkey only because its the only protein source at the table lol but I could live wihtout it. But I love, love, love this recipe! 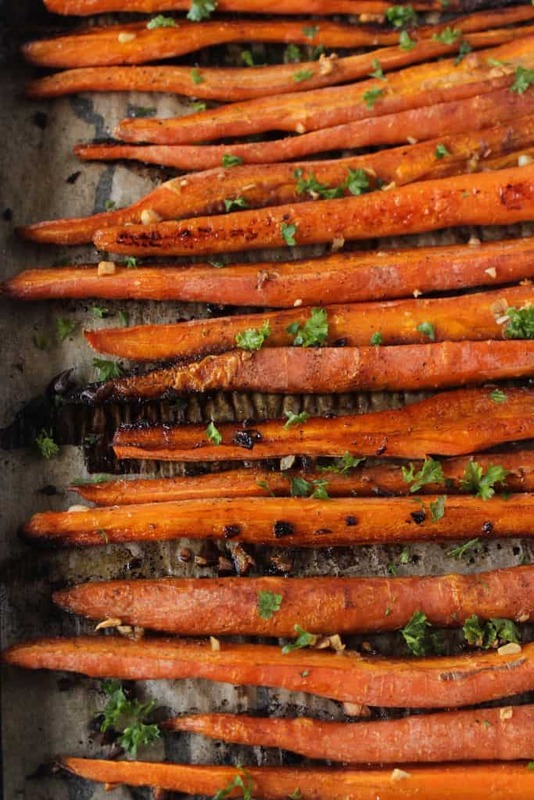 Totally making these carrots soon – Im such a sucker for a good roasted carrot! I agree! I’m fine with turkey but I really just love the non-traditional Thanksgiving foods we make like mac and cheese and ice cream pie or apple crisp. So yummy!! 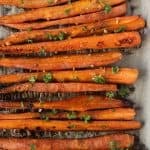 love roasted carrots! The balsamic on top sounds so good! Li these look incredible…I am totally making them asap when I get home!!! I must admit though, I was seriousl shaking my head when you said that you didn’t like pumpkin pie OR stuffing, those being my two top Thanksgiving foods. I’ll get you to like them one day…you haven’t had my family’s stuffing yet:) Love you, happy turkey day!! That’s right, I remember now that stuffing’s your favorite! Happy Thanksgiving, Ri! I love to roast! Even when it’s hot outside. These look terrific. These are gorgeous, and I just so happened to have picked up a bunch of carrots at the farmer’s market last weekend! Yum, sounds like your family cooked up some really, really delicious food! Hope you all had an awesome Thanksgiving!